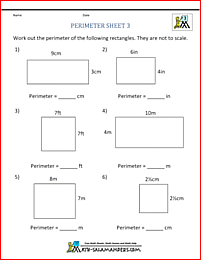 Welcome to the Math Salamanders Perimeter worksheets page. 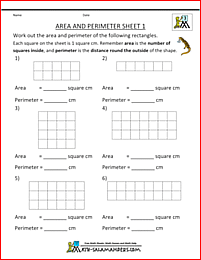 Here you will find a range of free printable perimeter sheets, which will help your child to learn to work out the perimeters of a range of rectangles and rectilinear shapes. 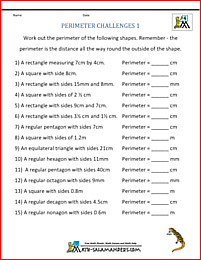 know how to work out the side length of a regular shape if we know the perimeter. 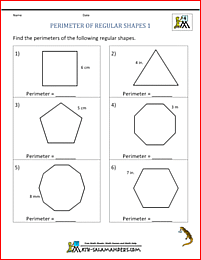 Because regular shapes have all sides of equal length, we can easily find the perimeter of a regular shape. All we need to do is to multiply the number of sides by the length of one side to find the perimeter. If we know the perimeter of a regular shape, we can also easily find the side length. 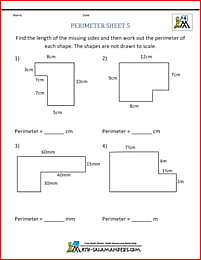 All we need to do is to divide the perimeter by the number of sides to find the length of one side. 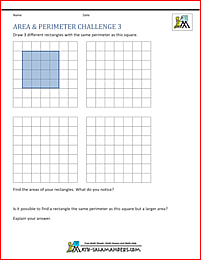 This sheet involves finding the perimeter of regular shapes if we know the side length. 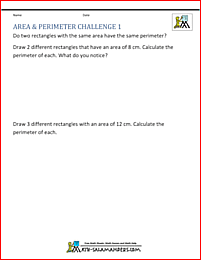 This sheet involves finding the side length of a regular shape if we know the perimeter. 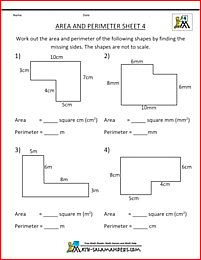 These challenges involve finding the perimeter of shapes by calculating rather than by drawing them out. 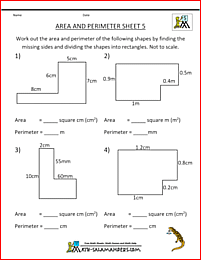 The aim of these challenges is to get children to apply their knowledge of area and perimeter to solve problems and look for patterns in their results. 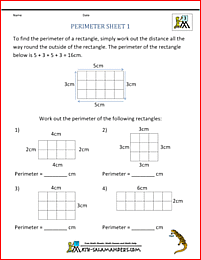 If you are feeling a little confused by the word 'perimeter' and want to go back to basics then try our beginners page on what does perimeter mean. 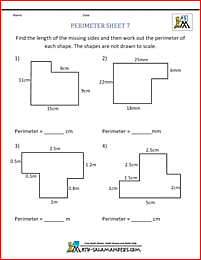 There is a step-by-step guide to what perimeter is and how to find the perimeter of some simples shapes through worked examples. 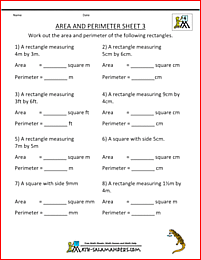 Here is our selection of free printable area worksheets for 3rd and 4th grade. The sheets are all graded in order from easiest to hardest. 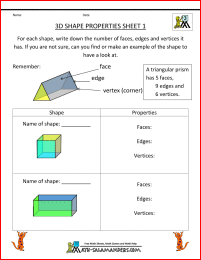 Here is a range of free geometry worksheets for 3rd graders. 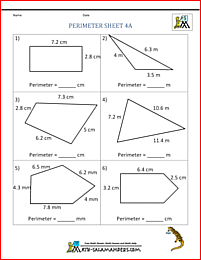 All the third grade geometry sheets in this section support Elementary math benchmarks. 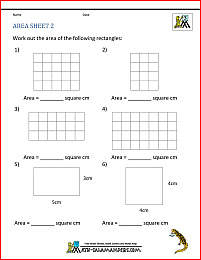 Here is our selection of 4th grade Geometry worksheets. 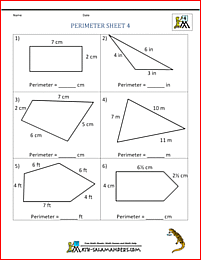 know that angles in a triangle add up to 180° .